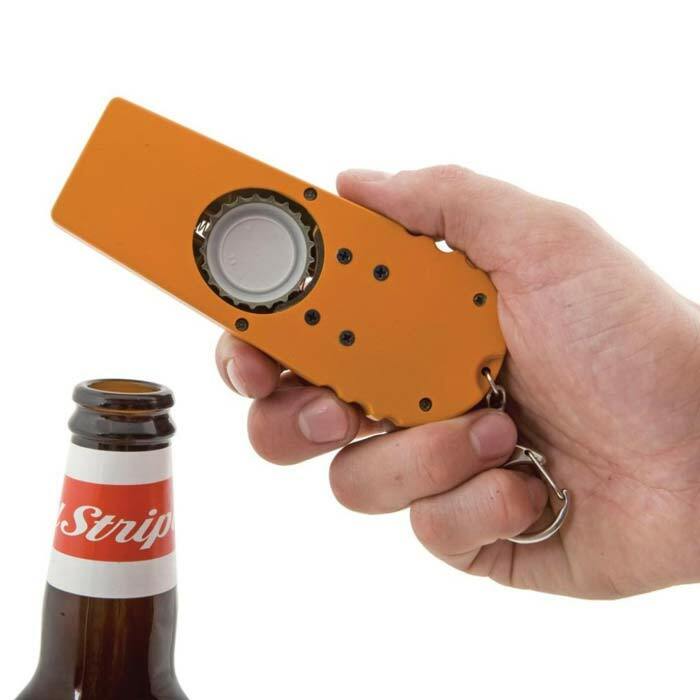 From now on, bottle openers are no longer cool. Your bottle opener barely dents the cap? Still not cool. It’s on a pair of flip-flops? Still not cool. It collects the caps so you can use it for currency in the event of a Fallout-style apocalypse? Meh. From this day forward, my unopened bottles of beer belong exclusively to the Cap Zappa. Like every bottle opener, you can use it to crank that round cap off the mouth of any beverage bottle. 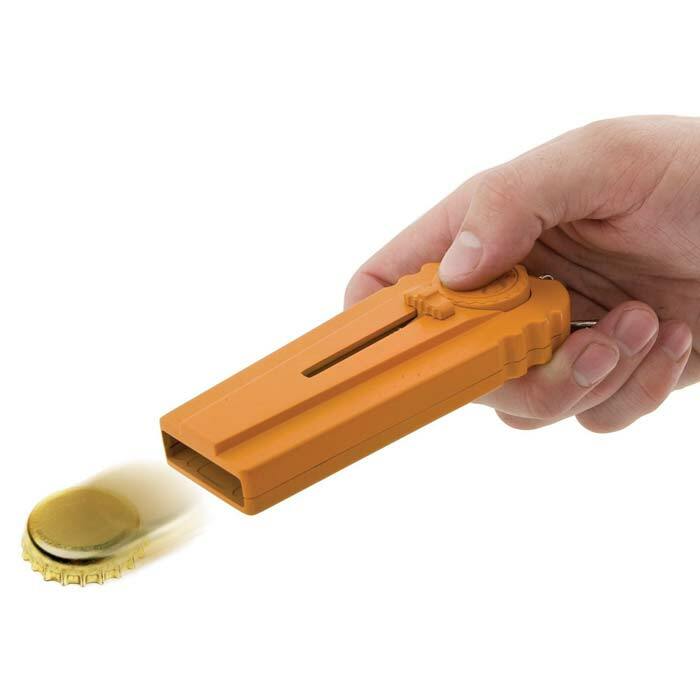 Unlike them, though, it doubles as a bottle cap launcher, letting you shoot the cap at your friends for additional giggles. The Cap Zappa has a plastic body containing both the cap-popping hardware and the firing mechanism. Measuring 2.2 x 12.5 x 19 cm, it should feel like a proper projectile launcher in hand, rather than just a small hand tool to pry your sealed bottles open. Bonus: since it’s bigger than your typical bottle openers, it lets you remove caps with minimal effort. The best part, of course, is the launching ability. While it can’t quite send your caps that far off, it does allow you to send it up to 5 meters away — which should be more than enough to rain down stray caps towards the other end of the couch while watching the American Pie again with your bros. Oh, and it comes with a key chain, too, so you can tether it to a belt loop in case your friends start coveting your new toy. 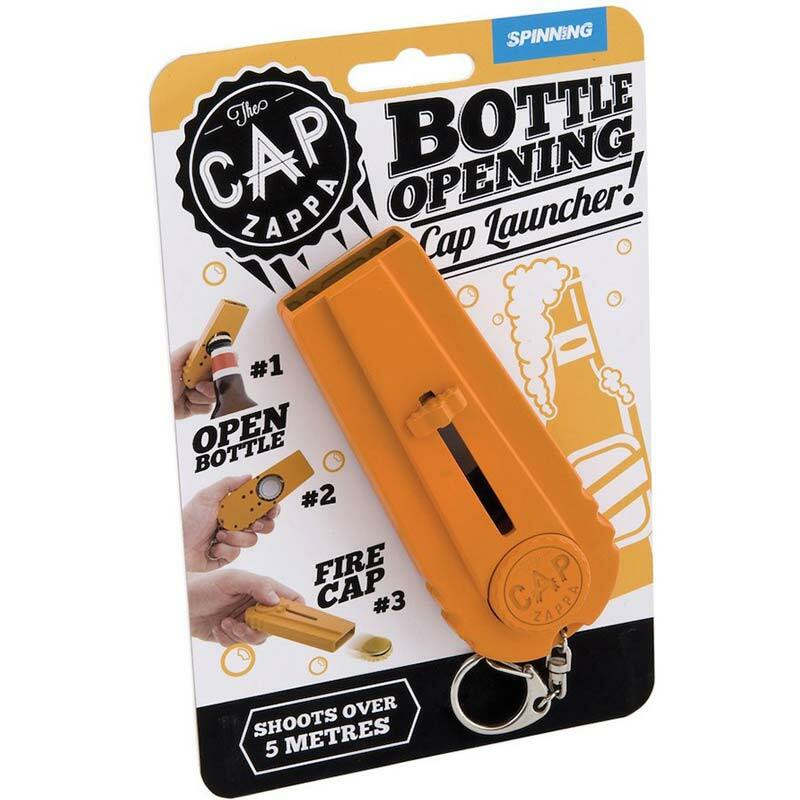 This entry was posted in Awesome Gadgets and tagged beer game, beer opener, bottle opener, cap shooter launcher, cap zappa, spinning hat, the cap zappa.